The First World War Casualty Form Collection was donated to the RAF Museum by the Ministry of Defence. These Casualty Forms relate to officers of the Royal Flying Corps and (from April 1918) Royal Air Force serving on the Western Front and in the Middle East. In addition to details of casualties the forms give details of postings, periods of leave, promotions and decorations; in some cases the forms record the place of burial and the name of the padre officiating. Unfortunately the Collection was incomplete when the Museum received it. At an earlier and unknown point in its history some of the original volumes went missing. This means that there is a gap for individuals serving in the Western Front whose surnames began with A as well as some of the Bs. The forms begin at BEADLE. Within the Collection there are some Effective Forms which do cover the surnames Allen-Young but these are not the missing forms. 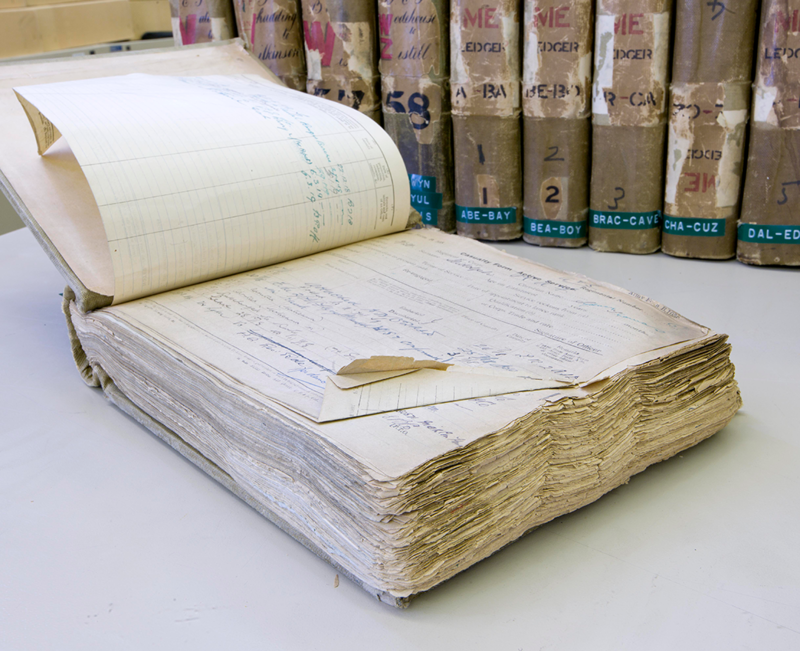 Much of the information that these forms contain is NOT recorded in the personnel files held in The National Archives. An example of a Casualty Form. The forms, around 25,000 in number, have been a largely untapped source of information, primarily because of the fragile state of the records. To mark the centenary of the First World War and the 100th anniversary of the formation of the Royal Air Force in 2018 the Museum decided to undertake a project which would enable greater access to the records. Funding was secured through Esmée Fairbairn Foundation and The Heritage Lottery Fund to conserve the collection. Conservation work by a contractor was essential to prepare the forms for digitisation and protect them from further damage. The Casualty Forms before conservation work. After digitisation by the Museum, our dedicated volunteers helped transcribe the information contained within the forms, making them available to search here. 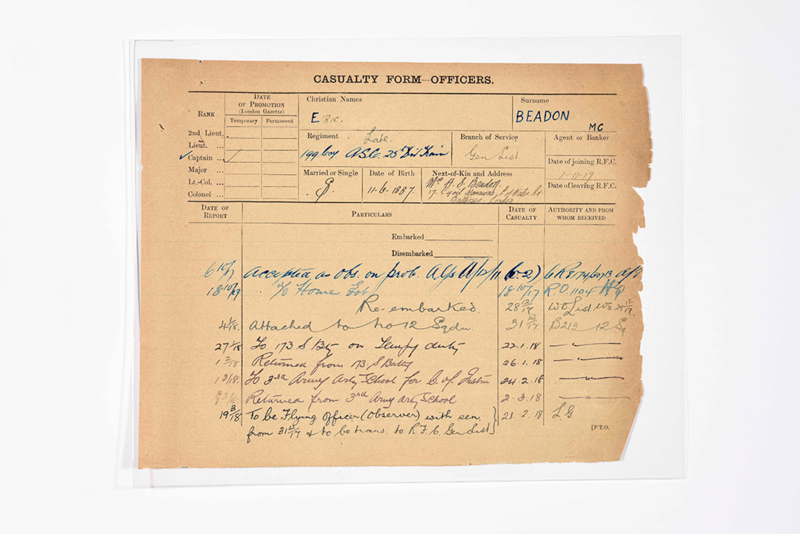 The RAF Museum also holds the First World War Casualty Card Collection and other records which can be useful when researching air force personnel. Online access to this information can be found at the RAF Museum's Story Vault. © 2019 Trustees of the Royal Air Force Museum.